Imphal, November 09, 2013: The Just Peace Foundation on Saturday threatened that it would sue NDTV for inciting hatred between Irom Sharmila and the foundation in a news report on November 7 that the civil rights activist had hit out at people within her own organisation, saying they threatened her with honour killing over her relationship with social worker Desmond Cutinho. Desmond is stated to be a social worker and journalist of British origin who has been in a relationship with Sharmila for close to three years. "We'll send a legal notice to the New Delhi based TV channel NDTV for its misquoted report that has tried to rouse hatred between Sharmila and the organisation," said Anandi, managing trustee, Just Peace Foundation during a press meet at Hotel Classic here. The NDTV report came barely two days after Sharmila's agitation entered its 14th year. In an exclusive interview with NDTV, Sharmila reportedly said that they (trustees of Just Peace Foundation) were acting like the Taliban and they did not understand that her love had nothing to do with religion or politics. "I have even received honour killing threats". Anandi further said the NDTV has misquoted the human rights activist who has just completed 13 years of her fast. She accused the TV channel of asking questions without a break and making the false report. "It appears that NDTV had planned the story beforehand," Anandi charged. She said that the national media in the past had done such things and this time NDTV is attempting to undermine the Sharmila's campaign against the controversial Armed Forces (Special Powers) Act, 1958 (AFSPA) which has been joined by Amnesty International with a mass campaign. Anandi also said Just Peace Foundation has always done anything that Sharmila wants, but sometimes she has to feel sad when it fails to fulfill her demand that cannot be practical. "However, the foundation has never interfered with her personal life". 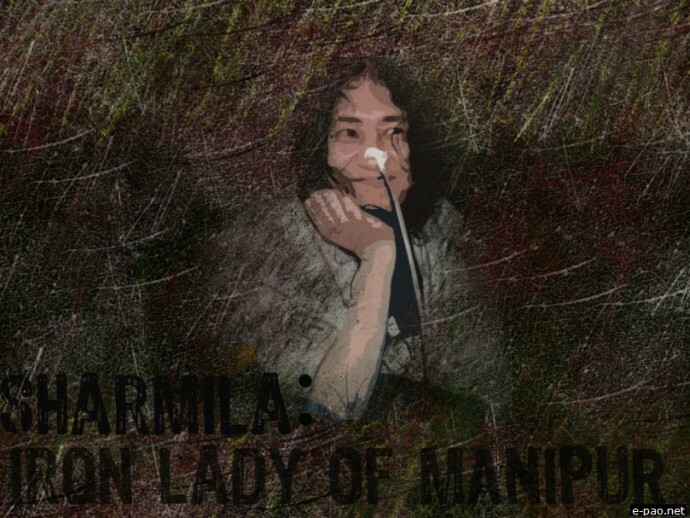 Sharmila had also claimed to NDTV that her protest against the AFSPA which gives the Indian army sweeping powers in disturbed areas, had been hijacked by the very people in-charge of her campaign. The activist had also said that she was not even allowed to donate money from her international prizes to causes like the Uttarkhand flash-floods tragedy.